I had brunch this past weekend at Bier International in Harlem. The food was excellent as always. 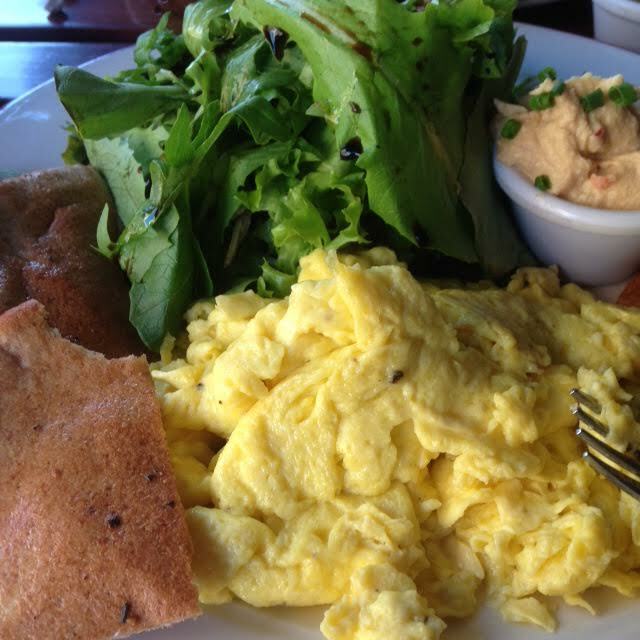 I had the scrambled eggs with hummus, pita wedges and a green salad. 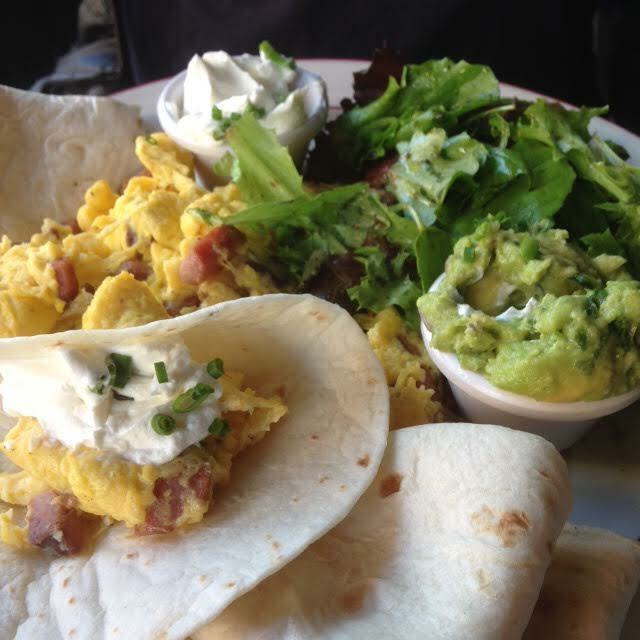 My husband had his favorite, the Portuguese Linguica and Scrambled Eggs Fajitas. His was served with guacamole and baby organic greens as well. This place never misses on food, however this time the service was lacking and we reflected it in our tip. This has been one of our favorite places in Harlem since they opened, so this is why we were surprised by our server. Unfortunately, the owners Ousmane Keita and Chris Pollok were not there this day. One or both of them are usually there and two of the nicest guys in Harlem. This being said, our waitress gave us menus but took a while to come by to take our order and it was not because she was busy. We placed our order which included a juice for my husband. My coffee came but we had to call her over and remind her about the juice which had been at the service area for some time. We saw a table of 5 near us that had menus but they got up and left due to her lack of service. Besides great food Bier International is in my opinion the best kid friendly place on the boulevard. This might have to do with the fact that both Chris and Ousmane have kids of their own. The food is consistently good and normally so is the service. This is why I wanted to share my experience. We look forward to many more great meals there with our infant daughter.